Panel to Discuss Hydraulic Fracturing for Natural Gas in Ky. The University of Kentucky’s Appalachian Center and Appalachian Studies Program will feature a panel discussion about hydraulic fracturing (or “fracing”) as a way of extracting natural gas in Kentucky. 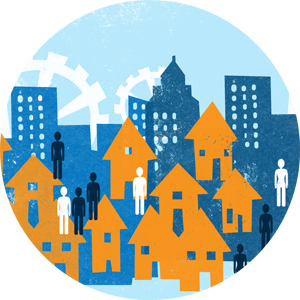 The event, part of the Appalachian Forum series, will take place from 7-9 p.m Thursday, Feb. 23, in Room 106 of UK's White Hall Classroom Building. Panelists at the event will represent a variety of relevant areas of expertise, and after brief introductory remarks by each panelist, Al Cross, director of the Institute for Rural Journalism and Community Issues and Journalism and Telecommunications Extension faculty member at the University of Kentucky, will moderate a discussion with the audience. The panelists will include Pat Banks (director, Kentucky Riverkeeper), Kim Collings (director, Division of Oil and Gas, Kentucky Department for Natural Resources), Rick Bender (vice president, BlackRidge Resource Partners), Melissa Dieckmann (professor, Department of Geography and Geology, Eastern Kentucky University), Frank Ettensohn (professor, Department of Earth and Environmental Sciences and director of the Honors Program, University of Kentucky), Marcelo Guzman (assistant professor, Department of Chemistry, University of Kentucky), and Brandon Nuttall (senior geologist, Kentucky Geological Survey). 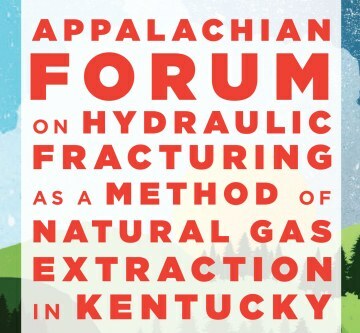 This Appalachian Forum was organized in response to a growing need for public information about the process of hydraulic fracturing as a means of extracting natural gas. The panelists will present information on the extent of hydraulic fracturing currently underway in Kentucky; how Kentucky’s geology is related to the discussion of hydraulic fracturing; the permitting process for this method of natural gas extraction; the relationship between energy and water resources in the state; and research on economic and environmental aspects of hydraulic fracturing. Other topics may be brought up in discussion. For more information, please contact Shane Barton, UK Appalachian Center program coordinator at (859) 257-3948 or shane.barton@uky.edu.